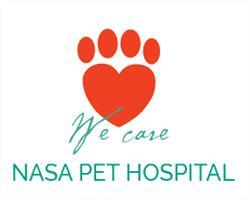 Competently assist the veterinarian throughout the examination, diagnosis and treatment phases of patients. Educate clients on the aspects of pet health care, preventive care and hospital services. Effectively communicate with veterinarians and colleagues with regards to the specifics of individual cases. Provide a clean and safe environment for our clients, patients and team members by following hospital protocols. Stand, walk, stoop, kneel, crouch, climb and manipulate (lift, carry, or move) up to 50 pounds. Contribute to maintaining a positive and effective hospital environment for clients and team members. Demonstrate strong written and oral communication skills and correctly spell job specific terms. Demonstrate strong mathematical ability and must be able to convert units of measurements. Confidently and efficiently use a computer and specialized software. Applicants must be willing to work weekends and some holidays. The salary is competitive and directly related to experience. Health insurance and retirement benefits are available based on eligibility. Include a cover letter and list of 3 references with your resume. This is a drug-free work environment, background checks and drug screens are performed.